The topography of the Kittatinny Valley is dependent upon its underlying rock structure: slate and shale have better resisted the ravages of time and so form the ridges, while softer and more soluble limestones have eroded to form lowlands. But extensive glacial deposits lessen the fluted appearance of the Kittatinny Valley between Pinkneyville and Halsted Heights in Newton, filling the narrow lowlands and partitioning the headwaters of the Paulinskill and Pequest Creek. The NewtonSparta Road (County Route 616) runs along this divide from Fox Hollow (Sparta) to Sussex Court House in Newton. An intervening slate ridge extends from the vicinity of Beaver Run southwest toward Route 206 in Andover Township near Springdale. A branch of the Pequest skirts the south end of this ridge through a narrow limestone vale. Limestone terraces edge the slate uplands through Newton Cemetery and above Kirby Hollow (along Mount View Street), forming Devils Island on the verge of the great bog meadow. Another prominent limestone spur extends southwest from Drakes Pond along the Stickles Pond Road. Route #206 squeezes between craggy limestone ledges at the Narrows, just where it enters Newton from the southwest. A belt of kame hills of glacial debris mark a recessional moraine at the intersection of Andover, Lafayette and Hampton Townships. Meltwaters issuing from the ice front formed a shallow lake, plugged southwest by the Great Slate Mountain and by kame hills and stratified drift lodged amongst the limestone outcrops in South Newton. An extensive bog meadow, once known as the Gray Swamp from the prevalence of birches, now occupies the former lake bed. Here the Big Spring sends forth the first waters of the Paulinskill. The bog meadow soil runs in muck from a depth of three to thirty-five feet. In 1918, J. T. Hathaway remembered the sweet meadow where the bobolinks sang so merrily and the brook murmured down through the beds of mint and calamus toward the Big Spring. Long ago, a stagnant block of ice, buried in glacial outwash, created a kettle known as Drakes Pond, a huge spring covering twelve acres and having a depth at center of 60 feet. To the southwest, the Muckshaw Ponds and Stickle Pond formed in gravel-plugged hollows. Stretching out below Halsted Heights, South Newton nestles in its own valley, only three-quarters of a mile in length and 500 to 1,500 feet wide. The bottomland stands about 600 feet above sea level and is flanked by ridges of Martinsburg Shale, except for a gap at its northeast end where the old Sparta road rounds Drakes Pond. Glacial gravels and sandy silt form an undulatory kame-and-kettle topography, much of it poorly drained. In January 1911, well drillers bored through 92 feet of quicksand beneath the Valentine & Bentley Silk Mill on Sparta Avenue without reaching bedrock. Early nineteenth-century boundary descriptions mention large drainage ditches in the lowland lying southwest of the Paulinskill Meadow, indicating early attempts to recover the rich soil for agriculture. Early deeds also mention cedars, probably Swamp White-Cedars (Chamæcyporis) which favor swampy ground. The frequency of prehistoric Indian sites within a square mile of Newton led one early authority to conclude that this spot was one of the headquarters of aboriginal life here in Sussex County. The earliest documentary records refer to the native inhabitants hereabout as the Tohockonetcong Indians. The Paulinskill was first called the Tokhokkonetkong, a Branch of Delaware River, but, by 1762, was increasing referred to as either the Pawlins or Paulins Kill. Numerous prehistoric camp sites, rock shelters and a burial ground have been found on elevated ground at the margins of the Paulinskill Meadows. A rock shelter known as the Sheeps Head is located on the second limestone terrace within Newton Cemetery, near the intersection of Halsted Street and Sparta Avenue. Scattered artifacts of aboriginal manufacture were found on lower Spring Street near the Freight Depot when the road was being graded and paved in the summer of 1913. Other Indian sites have been located north of Drakes Pond (originally called Turtle Pond). South Newton is included within the bounds of a 1,250-acre tract of land which Samuel Green surveyed for James Bollen and John Budd on October 14, 1715, under a warrant from the West Jersey Council of Proprietors. The property was divided into equal half parts prior to 1739 when John Budd sold his share to John Bayton, a Philadelphia merchant. John Bollen inherited his fathers 625 acres and sold them to John Hackett on September 3, 1763. Hackett, manager and junior partner in the Andover Iron Company, was appointed one of the managers to supervise construction of Sussex Court House in 1762. On April 1, 1765, John Hackett conveyed two equal parts in the 625-acre Bollen Tract to William Allen and Joseph Turner, of Philadelphia. William Allen, the Pennsylvania Chief Justice, and his partner Joseph Turner, a former sea captain born in Andover, England, operated the largest merchant house in Philadelphia prior to the Revolution. They were also the largest shareholders (with 5/16ths shares each) in the Andover Ironworks. By his last will and testament, dated April 26, 1769, William Allen devised his equal one-third part in the Bollen Tract, together with other lands in Sussex County, to his grandsons William and John Allen. On August 1, 1808, William and John Allen, of Red Hook, New York, sold their interest in the tract to Daniel Stuart, of Newton, for $500. The deed described the property as now in the possession of Colonel James Conover. Thomas Anderson, of Newton, purchased the remainder of the tract from Turners heirs. Anderson devised his share of the property to his sons William T. and Thomas O. Anderson and to his son-in-law James Conover. On March 10, 1810, Daniel Stuart, James Conover, William T. Anderson and Thomas O. Anderson, as tenants in common seized in fee simple of the whole of that tract near the Court House originally located and surveyed for James Bollen mutually agreed to divide the tract of land amongst themselves. Daniel Stuart received two separate parcels, containing about 398 acres. James Conover acquired the remaining 377 acres in three separate lots, containing 355 acres, 10.70 acres and 12 acres. The Merriam Shoe Factory was later built on the easterly third of the Bollen Tract acquired by Daniel Stuart in 1810. Margaret Conover, relict of Colonel James Conover, sold her portion of the Bollen Tract to her brother, William T. Anderson, on April 11, 1825. She described the parcel as being the farm or plantation occupied by James Conover in his lifetime. Conover had originally leased the land from Allen and Turner as early as 1808. Deed descriptions suggest a mixture of meadow, bog meadow and plough land. The limestone terraces and slaty uplands at the edges of the valley were reserved for wood lots, where black oak and hickory thrived. Daniel Stuart was a pioneering entrepreneur of Scots-Irish descent, who resided in Hackettstown. Near the close of the Revolutionary War, when he was only seventeen or eighteen years old, he removed to Newton and joined John Holmes and Charles Pemberton in operating a store near the Court House. His homestead, built in 1813, stood at the corner of Spring Street and Union Place (it was razed in 1937 to build the Ideal-Pontiac Garage and Salesroom). Daniel Stuart was elected the first president of the Sussex Bank in July 1818. He also served as County Surrogate. He married Margaret Ayers, of Hackettstown. The couple had no children of their own and adopted the son of Daniels niece, Jane Farrell, of Newton. John R. Stuart (1809-1873), was raised and educated by his adoptive parents. He became one of the Countys most respected physicians. Daniel Stuart died on January 22, 1822, aged 58 years. His last will and testament, dated February 16, 1822, provided a $1,000 trust fund for his adopted sons education and support. His widow, Margaret, inherited most of his real and personal estate. Margaret Ayers Stuart died on January 1, 1842. As executor of Daniel Stuarts estate, George H. McCarter sold five tracts of land, comprising 309.58 acres, plus eight small Town Lots (located within the grid formed by Madison, Washington, Adams and Spring Streets), to Doctor John R. Stuart for $7,800 on April 1, 1842. The Bollen Tract remained as farmland, natural meadow and woodland until the middle of the nineteenth century. In 1857, when Virginia P. Anderson sold the old Conover farm to Robert M. Pettit, she inserted a clause reserving nevertheless the crops now growing on the said land and premises. Spring Street (or the road to the Big Spring in the Paulinskill Meadows) provided access to the area and continued southeasterly through a gap in the ridge at Drakes Pond to form the Great Road to Sparta. In 1768, Jonathan Hampton advertised that his Two thousand acres in Newton, joining to and all round the New Stone Court-House ... contained fine stones for lime and building, which hammers well, and good sand, all within a mile of said town and Court-House. Into the early twentieth century, masons quarried limestone for building purposes from the ledge along Diller Avenue, Stuart and East Stuart Streets. As early as 1816, glacial clays along the margin of the Paulinskill Meadows were mined and burned into brick. Slate was first quarried about 1855 from the ridge at College Hill for roofing material. The most significant improvement in transportation facilities came in 1854 with construction of the first locomotive railroad in Sussex County. On March 20, 1854, John R. Stuart and his wife Henrietta sold five acres of the old Bollen Tract to the Sussex Railroad Company for a turntable depot. They also conveyed an additional strip of land fifty feet wide on each side of the center line of the Sussex Railroad as located for construction (which strip of land was said to contain 1.76 acre). The first locomotive traveled over the line from Waterloo to Newton in December 1854. In February 1857, Newton defeated Deckertown in the bidding to host the Fair of the newly-formed Sussex County Agricultural Society. 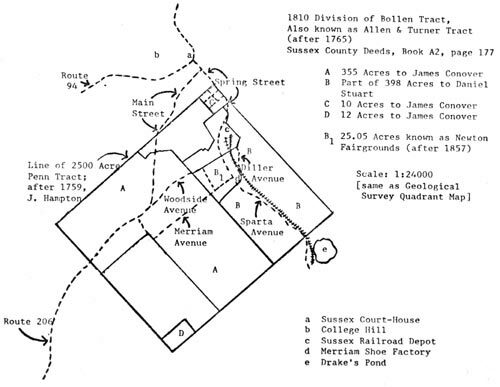 Dr. John R. Stuart leased 25.05 acres of the Bollen Tract, alongside the track of the Sussex Railroad, to the Society for use as a fairgrounds. According to their original advertisement, the Fair Grounds embrace twenty acres of land enclosed with a board fence eight feet high and a beautifully graded and well arranged Circular half mile Track for an exhibition of the speed of horses. Stabling for 200 head of horses and cattle were provided within the enclosed grounds. Three large tents were provided for the protection of manufactured articles, ladies work, fancy articles and painting. There was also a tent for the exhibition of grains, vegetables, seeds, dairy products, agricultural implements and machinery. The Secretarys Office was built on the Sparta road (89 Sparta Avenue). The first agricultural exhibition was held on October 13-15, 1857. Reportedly, 25,000 people visited the fairgrounds during those three days. The Agricultural Societys fairs continued annually until the outbreak of Civil War in 1861. Interestingly, these fair years (1857-1861) were years when the dairy interests of the county were second to none in the State, and Sussex butter brought the highest price in the New York markets.14 Ten to fifteen thousand people in a single day congregated on the old Sussex Fair Grounds, and never less than thirty-five to forty thousand during Fair week. Only the Secretarys office, transformed into a dwelling, still stands at 89 Sparta Avenue, just below its intersection with Diller Avenue. Here, at the office of the Agricultural Societys Secretary, exhibitors would call for their horse cards, hog cards, sheep cards, and cards for various kinds of vegetables and domestic produce. These labels allowed the various committees of judges to know identify the property of the exhibitors. On April 1, 1867, Doctor John R. Stuart sold the 25.05 acres, known as the Newton Fair-Grounds, to William McCarty for $7,515. On April 4, 1867, McCarty also purchased an adjoining tract of 81.43 acres from Robert M. Pettit for $8,875. This second parcel, once known as the Conover farm, had been assigned to Virginia P. Anderson, as one of William T. Andersons heirs, by the Commissioners appointed by the Sussex County Orphans Court to divide William T. Andersons real estate in 1851. It was designated Lot #6 in that division of lands. Virginia P. Anderson sold the property to Robert M. Pettit on September 15, 1867, for $6,107. William McCarty undertook the first residential development of South Newton, selling sixteen house lots, totaling 11.17 acres, between 1869 and 1871. With one exception, these residential lots were located on the 83.43 acres acquired from Robert Pettit. Dr. John Stuart died January 15, 1873, aged 64 years. The sale of his considerable real estate holdings came in December 1874, when: the Hay Press Property, located near the new Shoe Factory was sold to Thomas Anderson for $600; the dwelling house and lot occupied by Conductor Knox near the Sussex Railroad sold to Captain Anderson for $950; the Grove Lot, containing two acres at Spring and Madison Streets, sold to Andrew W. Price for $1,710; a small strip of land adjoining the Public School, extending from John Smalleys blacksmith shop to Uncle Abe and Aunty Sheelers saloon (at the intersection of Halsted and Spring Streets, below the rocks), sold to David Couse, Jr., for $55; and the Stuart Homestead and lot sold to Miss Maggie Stuart for $8,025. The development potential of the old Fairgrounds incited the interest of Newtons leading businessmen. On October 1, 1872, a group of them gathered at the Cochran House to organize the Newton Land Improvement Company.18 One week later, on October 8th, William McCarty and his wife Catherine sold the old Fairgrounds (25.05 acres) and the unsold remainder (70.26 acres) of the adjoining lot purchased from Robert Pettit to Jacob L. Swayze and Joseph Coult for $25,000. The sale included the frame now framed, timber and materials now on the said premises fitted and prepared for a dwelling house ... the foundation of which is partly prepared ... also the sash for twelve windows for the unfinished house, which indicates that McCarty was a builder and not simply the seller of undeveloped lots. Messrs. Swayze and Coult, two of the principals in the Newton Land Improvement Company, sold these same two tracts to the Newton Land Company on April 9, 1873, for $25,000. At their incorporation meeting in the Cochran House on April 25, 1873, the Newton Land Company elected the following Board of Directors: Jacob L. Swayze, Thomas Kays, Alfred F. Fellows, Franklin Smith, William W. Woodward, Joseph Coult, Hiram C. Clark, David W. Smith and Robert Hamilton. At their organizational meeting, Jacob Swayze reported that 94 persons subscribed to a fund amounting to $40,500. Former Assemblyman Robert Hamilton was elected president. He also held the office of president at the Merchants National Bank and the Newton Library Association. Lacking the natural advantage of a suitable water power, Newton had not developed as a manufacturing center until the Sussex Railroad made possible the cheap and reliable transport of coal to fuel steam engines, while providing access to national markets for factory products. The Newton Land Company now set out to induce Henry W. Merriam, one of New York Citys largest shoe manufacturers, to relocate to a shoe factory that they would erect on their grounds. Henry W. Merriam was born on June 20, 1828, the son of Elisha J. and Lucy R. (Lane) Merriam, of Merriam Hill, Mason, New Hampshire. His ancestors came from Concord, Massachusetts. The branch most prominently known as the publishers of Websters Dictionary are descendants of the same family. Henry Merriam was educated in the common schools of North Brookfield and Worcester, Massachusetts. He finished his studies at the Appleton Academy, New Ipswich, New Hampshire. When he was sixteen years old, his parents moved to Plymouth, Massachusetts, while he was attending school at Worcester. He moved to New York City in 1851 and entered the boot and shoe jobbing business in association with J. T. Patton and John J. Lane. On June 16, 1859, Henry Merriam married Frances P. Culliver, a daughter of George F. and Mary (Bush) Culliver, of North Brookfield, Massachusetts. With the outbreak of war in 1861, Henry Merriam began to manufacture shoes for the army, selling large quantities to the government. During this period, the modern factory system superseded cottage workshops in the manufacture of shoes and immigrant laborers brought a tradition of strong trade guilds or unions to their work as machine operatives. With the cessation of hostilities in 1865, Merriam sold out his inventory of mens shoes and commenced the manufacture of ladies, misses and childrens shoes exclusively. For some time, he produced more than half a million pairs annually, which were distributed by jobbers in New York and other large cities. His enterprise grew to such large proportions that he was prompted to move to Newton in 1873, seeking cheap unorganized labor in a rural setting. Alfred Fellows and contractor Robert Baughn joined Henry Merriam in throwing out the first shovelfuls of dirt in excavating for the cellar of the new Shoe Factory. Under careful supervision of Henry Merriam and his engineer Stephen H. Norris, local builders took about eleven weeks to complete its construction. Building the Shoe Factory on a portion of the old Fairgrounds began at the start of March 1873. By March 13th, the Herald noted that the walls of the second story of the shoe factory are up and three weeks later that the masons are engaged on the walls of the fourth story ... The Sussex Register informed its readers on April 17th that the walls of the shoe factory are now up and the roof is being put on them. The building is to be ready for occupation, about the first of May and as there will be no plastering  the walls simply white-washed  there will be no difficulty in completing it by that time. The building has thirty-six windows on each side, or nine for each story, and to all appearances is well adapted for its proposed purpose. The final phase of construction was reported by the Herald on May 1st: The window frames of the new shoe factory are all in their places, and the floors are being laid. The Register added that workmen will finish slating the roof this week. The floors will all of them be laid by Saturday night [May 3rd], and the window sash were expected to have arrived on Tuesday, when the engine and boiler were also to have been shipped; the foundation of the latter being in process of preparation in the engine house. One week later, the Herald reporter stated that the roof is on, the floors laid, and the windows are being put in very rapidly ... The necessary machinery has about all arrived with the exception of the engine, and the work of unloading and placing in position was commenced on Tuesday. The engine, which is fifteen horse power, together with a thirty horse power boiler, is expected daily. In 1879, a Herald reporter described the engine as a model of beauty, being finished in brass .... Three steam pumps embraced a small boiler feed pump, while a large Blake patent pump proved capable of throwing a stream of water over the roof of the building. After an expenditure of $14,000 (exclusive of plumbing), the building was ready for occupancy by the end of May. The new plant was built of brick 100 x 32 ft., the central part, however, being 42 feet in depth, and five and one half stories high. The engine house adjoining is 20 x 25 ft. Six months later, the factory was described as a substantial slate covered brick building 32 x 100 feet and four stories high. The engine house at the [southeast] end is 22 x 28 feet. The discrepancy in the reported height of the building is explained by one reporters inclusion of a raised basement and loft in his count. The 35-horsepower boiler furnished steam heat through pipes and radiators. An automatic steam damper regulated the boiler pressure. Gas manufactured on the premises provided crude illumination. Stephen H. Norris was the engineer and mechanic, equipped with two different sizes of lathes to repair broken machinery. Water closets and wash basins were located on each floor. For their supply, Mr. Merriam purchased from Miss Maggie Stuart the right to use water from the spring which supplied the Sussex Railroad. A National Fire Extinguisher protected the building and hose could be attached to fire plugs in each room, allowing water to be carried to any part of the building or thrown completely over it by a steam pump. Temporary partitions were installed across the center of each story, thereby making it necessary to heat only one half of the building. An elevator, located at the front of the factory, conveyed heavy articles to the third and fourth stories, while a double dumb-waiter conveyed lighter articles up and down. A siding from the Sussex Railroad allowed cars to be loaded and unloaded from a platform built out from the packing-and-shipping room at the rear of the second story of the building. In anticipation of the new Sparta road, the main entrance was placed on the south side. Employees reporting to work or departing the factory passed by the office on the second story. William L. Dutcher was the office manager, purchasing agent, salesman, and bookkeeper, supervising the pay roll. Uncle Hall, the night watchman, had already been on the pay roll for five or six years when Mr. Merriam shifted his manufacturing operations to Newton. The stock and finding rooms were also located on the second floor. Essentially, the new factory building was an industrial cathedral, having the shape of a short-armed cross. It measured 100 feet from northwest to southeast. Projecting pavilions three bays wide, rose at the center of the side walls to form cross gables in the roof line. A frame cupola, crowned by a boot-shaped weather vane, stood at the intersection of the gable ridges. A single story Engine House was attached at the southeast gable. By one count, there were 150 windows and doors. Mostly hidden by subsequent additions, the out-walls of the 1873 factory are visible today running for six bays on either side of the central office wing fronting Sparta Avenue. An American Common Bond with flush-pointed joints was used in the brick work. The window openings have cast-iron sills and double brick relieving arches. The original six-over-six light sash have been removed. On the interior, a string of 7 3/4" square posts were mortised into a central girder, 11" x 7 3/4", with chamfered edges. Running end to end, the girders support 10" x 7 3/4" floor joists. To minimize the negative effects of machine vibration, one-inch diameter iron rods pierce the outwalls of the original factory at the level of the floor joists, being bolted to seven-inch diameter iron plates on the exterior. When the finishing touches were applied, the Sussex Register thought that the only question that remains to be settled is, will Mr. Merriam be seconded in his efforts by a competent corps of women and children from this county, who are willing to become his employees? Ten Howe Sewing Machines were installed in May 1873 and Henry Merriam had twenty additional machines of a new patent design on order. Only the coarser kinds of ladies and childrens shoes would be manufactured for the first year or two while his new labor force was training and no fine work was attempted. The machinery of the new factory was first started on June 9, 1873, and a small amount of work done. About thirty hands were employed. Todd & Rafferty, of Paterson, manufactured the fifteen-horsepower engine used to drive the machinery. By Christmas 1873, sixty employees produced about 500 pairs of ladies shoes weekly. Merriam hoped to double the staff and increase production threefold. Attracted to the novelty, townsfolk peered inside and wondered at the mechanical wizardry of the modern factory system. Joseph Brundage had charge of the cutting department on the first floor where sole leather was cut and prepared for the bottoming room. The engine which supplied power to drive the machinery was placed at one end of the room. Utilizing a knife sixty inches long, a stripping or racing machine cut the whole side into strips regulated according to the size of the shoe to be made. These strips passed through the skiving or splitting machine to shave off irregularities and produce a uniform thickness. The heavy iron rollers of the rolling machine reduced the leather to a more firm and solid condition than was possible under the old hammering process. The Die Machine, with interchangeable cutters suited to the size and width required for each different make of shoe, cut the strips into soles. Merriam equipped his Die Machine with cutters of each size and half size, and of three different widths, both right and left and straight, outsoles and insides for the ladies sizes, also complete sets of the same for misses and childrens shoes. A particularly ingenious machine channeled the soles, cutting a lap and groove for the stitch. A rotary machine cut beveled strips for the shank, preparing them for the Forming Machine, where heavy pressure was applied to shape them for attachment to the shoe. The skiving machine cut the poorer pieces of leather for insoles and counters, saving considerable time and labor, and producing a better product than was possible with handwork. C. H. Sherwood had charge of the finishing room on the second floor where the uppers were cut. Here the uppers were drawn over lasts and secured, so that a machine could tack on the out-soles, by driving and cutting corrugated wire of the desired length. A McKay Sole-Sewing Machine had the daily capacity of stitching 500 pairs of shoes on to the soles with waxed, six-chord No. 16 linen thread. Sufficient thread for a days work was waxed and wound upon a spool which was placed at the base of the machine. A gas jet warmed the wax on the passing thread. Formerly, it took twenty or thirty men to do the work now performed by the McKay sewing machine and Henry Merriam paid a royalty of two cents for every pair of shoes stitched. Mr. Merriam, however, also received a dividend of 85% on the par value of his stock in the McKay company. Cement was applied to the channels in the sole and the shoe placed in the beating-out machine, where a pressure of four tons was applied, leaving the inside smooth and the outside in perfect shape. With the shoe placed on a slip-last, the heeling machine punched nailing holes in the heels and then nailed on the heels with a single stroke, driving the nails clear through the heel so that the last thickness of leather was fastened on with a second motion, forming a blind top to hide the means of its cohesion. While the heel was being attached, a half-circle knife, placed in form, pared it to the desired shape. A heel polishing machine finished the process. The edges of the soles were then burnished and a sand paper roll, making 2,000 revolutions a minute, buffed and finished the bottoms. A blower making 4,500 revolutions per minute carried away the dust into a tin pipe. Without gas, burnishing and polishing were originally done entirely by hand. Mrs. Madden, the forewoman, supervised a dozen apprentices in the fitting department on the third floor, stitching the linings and fitting the uppers. She and her two daughters had been in Mr. Merriams employ for nearly eight years. At first, eighteen sewing machines were fastened to one long table, thereby securing greater steadiness than if each machine stood at a separate table. The fitting room was equipped with Singers button-hole making machines and Wheeler & Wilsons new No. 6 Sewing Machines, used for making a strong seam and for attaching a cord around the button-holes. Wrights new adjustable patent device controlled the motive power, allowing the operator to increase the speed from 100 to 800 stitches per minute, or stop on a single stitch, by means of a treadle. Mr. Merriams own experience reportedly suggested the invention of this attachment to regulate the speed of the sewing machines. But when the Newton factory commenced operations, steam power was not applied, as the first seven apprentice girls were not sufficiently trained to handle such rapid motion. Steam power operated a patent device for winding bobbins. A. J. Packard, the general supervisor, operated a steam punch for making eyelet holes in the uppers. The Monitor Self-Feeding Machine inserted eyelets, falling from the hopper above, into each hole as it moved into proper position. The uppers passed between nickel rollers, which turned the binding over the tops of the shoes with perfect beading. Once fitted, the uppers were taken to the top floor, or bottoming room, for attachment to the sole stock. With the Shoe Factory in operation, the Newton Land Company turned its resources to further development of nearly one hundred acres of choice land lying in a body near the present Sussex Railroad depot, and including all of what was formerly known as the Old Sussex Fair Grounds.21 The Company surveyed a new street, now Sparta Avenue, running from the Sherwood House (89 Sparta Avenue), in front of the Shoe Factory, and coming out in the rear of the old depot, where the Freight Station now stands. Another street, to be named Woodside Avenue, was opened in the fall, running directly from the Narrows on the Springdale Road (now Route #206) to Sparta Avenue. The Land Company also opened two new streets on their own account: Merriam Avenue running from the Shoe Factory in the direction of the old McElbony track on the Townsend farm; and Pine Street, crossing the rear of the Fair Grounds from Merriam Avenue to a junction with the proposed street from the Narrows, near the large pine tree. These streets were laid out fifty feet wide. Gutters were installed to drain the ground and carry the water from the three new streets to a main drain near the Factory. A beautiful square, containing nearly nine acres and embracing the level meadow on the old Fair Grounds, was set aside as a public park, framed by Sparta Avenue, Merriam Avenue, and Pine Street. These improvements, of course, opened up a large number of building lots. William M. Perrine completed and rented two tenant houses on Woodside Avenue in May 1873. 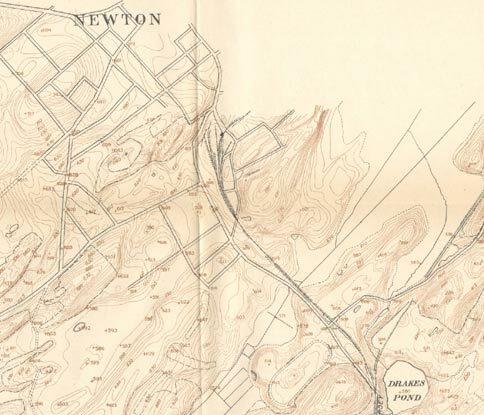 On May 28, 1873, the Directors of the Newton Land Improvement Company filed an application for a public road across their land, later named Sparta Avenue, running from a point in the rear of the freight depot [on lower Spring Street] to the Sparta Road [Diller Avenue where it intersects Sparta Avenue]. The new road was advertised as a great convenience as the distance will be shortened and the necessity of crossing the [rail]road twice be avoided. The new Sparta road commenced at Benjamin F. Sherwoods place (89 Sparta Avenue) and ran across the old Fairgrounds, in the rear of the houses along the railroad to the edge of the cemetery. The most difficult passage was across the hollow which had to be somewhat filled by cutting away the embankment, thereby uniting the new road with Spring Street by passing on the south side of the old Depot. John I. Blair, president of the Sussex Railroad, granted permission to remove a corner of the old Depot sufficient to pass the new Sparta road forty feet along the steep rocks. From a stand under the old pine tree on the fair grounds, the Newton Land Company auctioned off a fine harvest of ten acres of grass and 45 acres of standing rye, earning $510 on July 3, 1874. Production at the shoe factory ranged from 700 to 1,000 pairs per week by September 1873. The work was reportedly of a very fine quality and meets with a ready sale. Merriam, however, experienced considerable difficulty securing skilled labor, but was continuing to employ hands whenever possible. He hoped to expand output as additions were made. As his skilled labor force grew, it became possible to employ a few more learners. By December 1873, 50 employees were manufacturing and marketing about 500 pairs of ladies shoes weekly. The collapse of the banking house of Jay Cooke & Company in September 1873 triggered the Long Depression, which persisted with varying degrees of intensity until 1878. Henry Merriam with his small staff, operating his new plant at minimal capacity, was able to weather the storm, but the task of employing and training a sufficient work force proved far more difficult than expected. 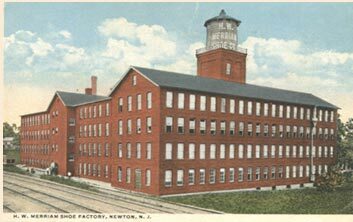 After a two-year lease, the Newton Land Company sold the Shoe Factory and an adjacent lot to Henry W. Merriam for $30,500: $30,000 paid into the stock of the Newton Land Company and $500 in cash. By this agreement, Merriam was to build a double-dwelling house for the use of his employees. In April 1876, the Shoe Factory received an order for thirty pairs of shoes and, not having the goods in stock, the order was given to the employees. In one hour from the time the order was received, the shoes were made, boxed and ready for shipment. At this time, Mr. Merriam purchased some new machinery. Ever since the Shoe Factory opened, Henry Merriam and his employees suffered for the want of a proper water supply. In August 1876, workmen using a derrick and sand auger attempted to bore a well near the factory, but upon reaching a depth of 55 feet a quicksand vein forced them to abandon the project. A second effort was made and the men reached a depth of 25 feet, with indication of striking water within a few more feet. If he met with success, Mr. Merriam intended to have a well bored for each of his tenant houses. A severe drought in the fall of 1880 threatened the factorys precarious water supply and a man was employed to fill its cistern with snow. A lead pipe with a three-quarter-inch bore carried water from the Cranberry Spring (on the present site of St. Josephs Grammar School) near Captain Fitzs house (now St. Josephs Convent) down Halsted Heights to the train depot. The Sussex Railroad originally tapped this source as the spring was located high enough on the ridge to feed its water tank by gravity. The Newton Land Company purchased rights to tap this water line from Maggie Stuart for $60 per year on May 16, 1873. In January 1881, workmen were boring a new well at the Shoe Factory. A windmill did the pumping until blown down in a storm some years later. A small brick Pump House, one story tall, replaced it. 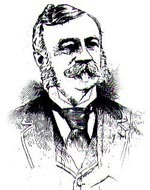 Henry Merriam personally owned and operated the Shoe Factory until 1882. On December 5, 1882, Henry W. Merriam, William Dutcher and William H. Palmer filed a certificate of organization for the H. W. Merriam Shoe Company. A capital stock of $200,000 was divided into 2,000 shares with a par value of $100. The Company was to begin with a paid capital stock of $80,000, divided into 800 shares, with Merriam owning 615; Dutcher, 150; and Palmer, 95. Henry Merriam sold the Factory (2.27 acres) and Dwelling House Lot (9,608 square feet) to the newly organized Shoe Company for $1.00. By 1883, 300 people were employed in manufacturing 1,000 pairs of ladies, misses and childrens shoes per day. Profitability depended upon volume. Only by continually expanding production and markets could the unit cost of each pair of shoes be kept so low. In February 1883, one editor wondered at the fact that you can buy a handsome pair of ladies boots for $2.50, and when one reflects that the manufacturer, the jobber, and the retailer each looks for a reasonable return upon his investment, the irresistible impression is that these prices could not be maintained except under the most careful management upon the manufacturer. The success of Merriams enterprise was amply demonstrated in November 1883 when he broke ground for a gingerbread castle on Main Street, Newton, that remains one of the great landmarks of High Victorian carpentry. By April 1884, when ground was broken for an addition to the Shoe Factory, Henry Merriam was turning out two pairs of shoes per minute. The building was enlarged by central wings projecting from the northeast and southwest sides, increasing its manufacturing capacity by a third. An addition of 40 feet in length, four-and-a-half stories in height, was made on the side facing Sparta Avenue; an addition of 25 feet in length was built on the side next to the railroad track. The front extension was primarily needed to increase office space, but its also provided room for more sewing machines. The window sills on this enlargement were cut of limestone. The rear extension provided a boxed stairwell running the full height of the building and a new and larger elevator shaft. This accommodated a steam passenger elevator, running between the first and fifth floors. The cast iron window sills facing the railroad were reused from the demolished face of the original projecting pavilion. A new steam heating apparatus was installed in September 1884. On March 1, 1884, Henry Merriam had 100,000 pairs of shoes on hand, either finished for the Spring trade or under way. As of October 1st, the business of the company for the year to date was upwards of $80,000 in excess of their best previous year, and in 1883 it was nearly 25% more than in any former year. Believing that the business would constantly increase, they enlarged the factorys capacity by 50% and intended to hire 100 additional hands by January 1, 1885. But business slackened in the fall of 1884 and some merchants began countermanding their orders for shoes, reducing them by one-half, while others rejected and returned an unusually large quantity of delivered goods. Pleading that sales and collections were slow, they asked for an extension of time. Consequently the Merriam Shoe Companys two traveling salesmen were kept at home for nearly a month, to save the outlay of their traveling expenses. Fall orders were filled a month sooner than anticipated and the factory closed on November 29, 1884, for inventory, a month earlier than usual, putting 300 employees out of work. Rumors spread that employees had been fired because they were Democrats and voted for Cleveland. Actually, a lack of orders compelled the company to reduce working time to eight hours a day and a pro rata share of work was given to every man who had properly attended to his duties. But the salesmen were soon back on the road, making every effort to secure business, including offering merchandise at discount. But by December 1st, only one salesman had sent in an order, and that was a small one. Orders from regular customers were largely confined to keeping up their assortment of sizes. To complicate matters, the price of leather was also high and manufacturers were reluctant to buy. During the last week of April 1885, the H. W. Merriam Shoe Company turned out 7,100 shoes. That was their weekly average, which could be increased by employing 100 additional hands when the economy picked up. The offices were now located on the second floor of the new south wing. One handsome new piece of cabinetry was quite a novelty, as it can be swung open, bringing into view at once and at a convenient height for inspection, samples of every kind of shoe made in the factory. The windmill used for pumping water was completely disabled and nearly blown down in May 1885. By November 1885, the companys ledgers showed that the factory was doing a rushing business, its production averaging 1,300 pairs of shoes daily since July. While maintaining his reputation for quality, Merriam cut his prices below the competition. The Company purchased 3,500 sides of leather, 500 pounds of silk, about a ton of thread and other supplies in proportion, to keep its present work force steadily employed. It expected to have a stock of 50,000 pairs of shoes on hand by March, when Spring goods were delivered, in anticipation of new orders. Arrangements were made to extend the gas main from the Depot to the Shoe Factory, which had been outfitted with gas fixtures. This enabled the operators to work longer hours. The original steam engine was pushed to the limits to keep pace with production. On July 3, 1886, the factory shut down for taking inventory and employees departed for their annual two weeks vacation while inventory was taken. During this respite, a new engine and boilers, double the capacity of the old ones, were installed. In July 1886, Henry Merriam placed over $1,200 worth of new machinery in his factory and engaged extra hands to meet an increase in Fall orders. The increase in production over any previous year amounted to 64,000 pairs of shoes. Workmen installed gas fixtures in December 1886. By June 1887, the increase in business for the year to date exceeded the previous year by about 30,000 pairs. Another salesman was to be put on the road, in addition to the six already in service. Owing to the constantly increasing business and the need for more storage room, the management of the Merriam Shoe Company decided to build a four-story addition for the storage and packing of made-up goods, 32 feet wide and 22 1/2 feet long, on the north end of the existing structure. Andrew W. Price did the masonry work and William T. Hill did the carpenter work. The addition, including the attic floor which was to be used for storage room, gave 6,000 square feet of extra floor space. The 1887 extension was made to the northwest gable end, adjacent to the 1881 Box Factory. It is three bays in length with limestone sills facing Sparta Avenue. On the interior, six-inch square posts were nailed into a central wooden girder, all having chamfered edges. Frank Losee sold 18,000 bricks to Henry Merriam in May 1887 for the addition to his factory. The extension was nearly completed by the time that the employees returned from their annual vacation on July 11, 1887. The company had a pile of orders on hand to fill, and the coming season promised to be a very busy one. On Saturday, March 31, 1888, the factory shipped over $7,000 worth of goods and their pay roll for the previous two weeks amounted to $4,800. For the month of March 1888, their shipments exceeded $60,000 worth of goods. In May 1888, the H. W. Merriam Shoe Company put in machinery to light their factory with gas of 100 candle power. To meet the demands of their increasing business, the H. W. Merriam Shoe Company commenced clearing ground for another extension of the factory in August 1889. Andrew W. Price had the masonry contract to build a new four-story brick wing, 32 feet wide, extending 40 feet from the front, or office part, of the building towards Sparta Avenue. William Hill was engaged to do the carpentry work. The first floor was to be used for the Goodyear work, the second for floor for offices, the third floor for storage room for uppers when ready for the bottoming room, and the fourth floor for the lasters and the four McKay sewing machines. The Company hoped to produce at least 3,000 pairs of shoes daily: 1,000 of the Goodyear and 2,000 of the McKay. Frank Losee began drawing the brick for the new addition from his Newton brickyard on August 24, 1889. A week later, the cement foundation was laid and the stone and brick placed on the ground. The first foundation stone was laid on September 9th and the first brick on September 24th. Brick layers had the second story ready for the carpenters on October 9th and the last brick was laid on October 31st. The next day, the last window frames were set in place and the roof was ready for the slaters. The addition added 50,000 square feet of floor space. A report from November 1889 gave the following figures: Cost of building including the addition now being completed, $25,000; pairs of shoes manufactured annually, one half a million; annual consumption of skins used in the manufacture of shoes, 205,000; pay roll every two weeks averages $5,000; hands employed about 400. On December 2, 1889, the Company voted to increase its stock by $120,000, bring its capitalization to $200,000. Towards the end of January 1890, workmen from David Monroes factory in Lafayette began fitting up the new office for the firms bookkeepers and added a special office for a stenographer and Remington No. 2 Typewriter. A handsome desk, finished in cherry to harmonize with the office trimmings, was purchased specifically for this machine. Remnants of the 1889 office addition and renovation could seen a few years ago on the second story of the center wing. Thin cherry wainscoting ran from floor to ceiling. The interior window surrounds consisted of four-inch moldings and corner blocks. A glass-enclosed office, 13 by 25 feet, was located in the northwest corner of the central wing. An exterior window in the northwest wall of this office had an iron framework holding ten 20" by 14" panes of glass. A door adjacent to this window opened onto a cast-iron fire escape. Posts and purlins in the loft of the 1889 addition measured 7 5/8" by 3 3/4. The posts on the first three stories were made up of three (1" by 6") boards nailed together with the edges of the outer boards canted so as to simulate the chamfered timbers used in the original construction of the factory. The center string of posts were nailed (and not mortised) to the girder. Window sash installed in 1889 long survived on the gable end facing Sparta Avenue: they consisted of two-over-two lights, each 14" by 28". The openings had double relieving arches and limestone sills. The three-foot-diameter Wheel Window in the gable had a four-pane square sash on the interior. Superintendent William H. Palmer purchased a tract of land in the neighborhood of the factory, laid out Diller Avenue (which he named in honor of the former owner, John Diller, shoe shopkeeper and proprietor of the Eagle Saloon) and commenced preparing the foundations for two or three new dwellings in January 1890. He quickly disposed of six lots on Diller Avenue to the following persons: Jacob Beatty, Phillip Teets, John Dobbins, Thomas Smith, Lewis Hawgenson, and Lorenzo Dobbins. Nathaniel W. Morris & Edward C. Frace opened Orchard Street, Sussex Street, and an extension of Pine Street, on their ten-acre tract near the Merriam Shoe Factory and sold a number of building lots in January 1890. By June 1890, it was reported that the new house of William Devore was the fourth residence erected on the Morris & Frace Tract since spring. On August 25, 1890, the H. W. Merriam Shoe Company Building and Loan Association was formed to assist employees in acquiring real estate, making improvements thereon and removing encumbrances therefrom by payment of periodical payments. This contributed materially to further residential development in the vicinity of the factory. In January 1892, Edward Frace purchased the interest of his partner, Nathaniel Morris, in their unsold lots on Sparta Avenue. Mr. Morris, employed for several years in the Merriam Shoe Factory, sold his residence on Sparta Avenue in March 1892 and moved to Yonkers. The Town Committee appropriated funds for opening Stuart, Palmer and New Hampshire Streets in March 1892. By 1900, the following number of residences had been erected throughout South Newton: Sparta Avenue, 26; Diller Avenue, 13; Lawnwood Avenue, 10; Merriam Avenue, 3; Pine, 7; Sussex, 10; Orchard, 5; New Hampshire, 12; Price, 7; Woodside, 19. 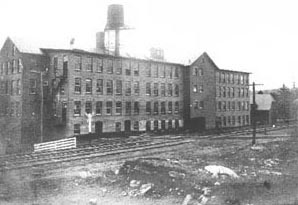 In 1896, the Sterling Silk Mill was built on a portion of the public park originally set aside by the Newton Land Improvement Company, northwest of the Shoe Factory. The Silk Mill added to the industrial character of the neighborhood. About one hundred employees of the Newton Shoe Factories organized the Shoemakers Social Club in April 1893, leasing rooms over Roes Drug Store. The following officers were elected: president, George W. Moore; vice-presidents, Judson K. Gunn, Marshall France, and John S. Kintner; treasurer, Horton N. Beegle; secretary, Otto J. Clawson; trustees, W. H. Dunn, Elmer Dutcher, and Charles Knox. Christopher Werner, a young boy employed at the Merriam Shoe Factory who had a habit of carrying around a revolver in his pocket, accidentally discharged it into his leg one morning in July 1893. Needing more power to drive their machinery, the H. W. Merriam Shoe Company contracted with mason Andrew W. Price to build a new Engine House, 126 by 57 feet, separate from the main building, with an iron stack 70 feet high. It was built about the site of the original engine house. The cement foundation was finished in early May. The Paterson firm of Samuel Smith & Son shipped two ten-ton steel boilers, of 100 horse power each, by railroad. Four teams of horses brought them to the factory on an extra heavy wagon. Paterson workmen assembled steel sections of the new smokestack in the middle of July. A new Corliss engine of 100 horse power, manufactured in the Watts, Campbell & Company of Newark, began to power the factorys operations on August 20, 1894. The new drive belt was twenty inches wide and 73 1/2 feet long. Once the old boilers were removed, the original Engine House was converted to a repair shop. The 1894 Engine House stands virtually intact. Its double-hung sash had six-over-six lights. 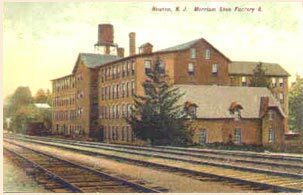 The next improvement came in October 1895 when the Merriam Shoe Factory was supplied with water from Morris Lake through the new municipal water-supply system. In December 1895, William H. Palmer, long-time superintendent at the Merriam Shoe Factory, acquired the Sussex Box Factory in the city of Newark. John Tozer succeeded him in Newton. Also in December 1895, contractor Hugh Lattimore built a double dwelling house, 28 by 40 feet, for Miss Mary Roberts, on Sparta Avenue opposite the Merriam Shoe Factory. It was to be one of the largest tenement houses in that neighborhood. In the midst of the relatively mild winter of late 1897, Newton contractors ODonnell & McManiman undertook the erection of another brick addition of 30 by 17 feet to the factory. This actually was an extension to the Box Factory, needed for the storage of paper shoe boxes. The next autumn, the Merriam Shoe Factory was enlarged by an addition, 30 by 59 feet, to the southeast gable of the 1873 building, extending towards Diller Avenue. 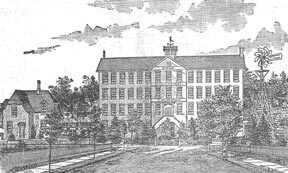 ODonnell & McManiman started work on the four-story addition on October 24, 1898. The contracts had 55 men at work building the Sterling Silk Mill Annex and this addition to the Merriam Shoe Factory. 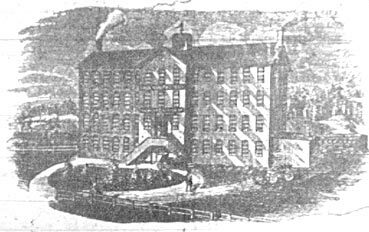 The stock of Mountain View brick for the Silk Mill Annex ran out on October 25th, but a full supply was received that evening; in the meanwhile, the work force was placed on the factory. Bricks from the Standard Brick Company (die-stamped SBCo) of Mountain View were also used in the 1898 addition to the Merriam Factory. After a months work, the bricklayers reached the fourth story and slaters arrived to finish the roof in the first week of December. Thomas Farrell did the carpentry work. Construction of the 1898 addition necessitated the demolition of the original Engine House (built in 1873, remodeled in 1886 and converted to a repair shop in 1894). Its only remainder was a concrete pad, possibly dating to 1886, which supported the engine and boilers. On the interior, 7 1/2" square posts with cast-iron capitals supported a central string of wooden girders, each 12" square. The girders carried equally massive floor joists. The extension runs nine bays along Sparta Avenue and four bays along Diller Avenue. Slate sills were cut at the Blue Slate Quarry on the Ridge Road. The posts and purlins in the loft measure 4" by 6". The southwest loft window had HR, Oct 1898 (probably Hud Roe) inscribed on its frame. Henry W. Merriam died on October 26, 1900. In his last will and testament, he left his interest in the Shoe Company to his brother, John Merriam, of Summit, New Jersey.30 In the reorganization that followed William Dutcher was elected company president. William L. Dutcher was born July 27, 1841, at Cairo, Greene County, New York, a son of Seth and Mary (Saulsbury) Dutcher. He attended his hometown school and later went to the Academy at Ellenville, New York. After graduating from the State Normal School in Albany, New York, he taught school for a time. He then took a position as prison keeper at Sing Sing, New York, where he remained for two years. He next entered the employ of the Bay State Shoe and Leather Company. While engaged in business at Trenton in 1865, Henry W. Merriam offered him a position in the office of his factory in New York City. He thus came with the Henry Merriam to Newton in 1873; he was always known as the first one at the office in the morning and the last to leave at night. In 1875, William Dutcher married Hortense Couse, daughter of Jacob and Elizabeth (Dunning) Couse. Hortense Dutcher died in 1906. Their children were: Elmer Merriam Dutcher, who managed Factory B; Frances E., wife of J. LeGrange Abbott, of New York; and Elnora Hortense. Williams brother, George L. Dutcher, resided at Ellenville, New York. On February 5, 1900, the Henry W. Merriam Shoe Company made a voluntary increase of wages to its lasters, ranging from a quarter to three-quarters of a cent on each pair of shoes. On March 21, 1901, the factory manufactured 3,500 pairs of shoes in a single day. To further expand their production facilities, the H. W. Merriam Shoe Company purchased the defunct Sussex Shoe Company building on Mill Street on March 26, 1901, adding the capacity to produce an additional 1,000 pairs per day. This second location was named Factory B, and the original plant on Sparta Avenue became Factory A. The Mill Street factory (demolished after a fire in 1969) was sold to the Standard Towel Company on October 1, 1915. The Merriam Shoe Company received an order in May 1901 for 5,000 pairs of shoes, one of the largest single order it had ever received. Because of intense heat, both shoe factories closed at noon on June 27, 1901, to give workers a rest. Lightning struck the flagpole of the Merriam Shoe Factory on August 1, 1901. In May 1904, the H. W. Merriam Shoe Company awarded a building contract to ODonnell & McManiman for two four-story, brick additions to that portion of Factory A running parallel with the Lackawanna Railroad: one 58 by 20 feet, and the other 85 by 20 feet, adding approximately 15,000 square feet. One shed addition abuts the north corner of the central rear wing (added in 1884) and runs northwest the full length of the building, so that its end wall is flush with the gable end of the 1887 extension. It is eight bays long and two bays deep. The other shed addition runs from the south corner of the rear wing southeast for approximately 85 feet, forming an angle near the point where Diller Avenue cuts along the factory property. This shed addition runs twelve bays in length and is two bays deep, but the main block of the factory extends two bays beyond its end wall. An iron fire escape was installed in this recess formed by the junction of the shed and the main building. Thirty-one windows in the west attached shed have cast iron sills reused from the demolished rear wall of the 1873 factory. Similar iron sills are also found in the first five bays of windows (twenty in all) nearest the central rear wing. The remaining window opening have slate sills. As elsewhere, double relieving arches of bull-headed bricks surmount the window openings. The six-over six light, double-hung sash were removed at a much later date and the openings infilled with masonry block. Also, in more recent years, two garage doors were cut into the east shed addition, replacing two bays of windows: one garage door was centered on the second story and the other was located in the northwest corner of the east shed on the first floor. A 1905 postcard shows two adjacent coal dumps and doors for internal chutes at the southwest corner of the east shed. By this means coal was carted through the main building and stored for use in the Engine House. The brick work on each of the four-story extensions of Factory A were complete by late July 1904, but considerable other work remained before they were ready for occupancy. With the summer rush of work, the extra room was badly needed. On August 25, 1904, the Herald stated that painters were busily at work on a scaffolding suspended from the fourth story of the new addition. On the following day, the Sussex Independent reported that John Cooper had been seriously cut and bruised in a forty-foot fall from a swinging ladder into a heap of broken brick. This debris was probably the demolition remains of the old northwest outwall of the factory. A companion who had been working with the injured man only saved himself by catching one of the ropes that held the broken scaffolding. An article on a Pleasant Hour at the Merriam Shoe Factory, published in September 1904, mentioned that the recent additions to the factory were complete and the extra floor space already filled with new machinery. The writer noted this enlargement was needed but only for more room, but to afford increased light and ventilation. In compliance with a recently enacted law, the Company was engaged in erecting fire escapes, although precautions had previously been taken in the direction of protection against fire by the introduction of modern and approved appliances. In Octobe 1904, the H. W. Merriam Shoe Company installed a fire escape to the four-story addition recently added to the main plant. It is built in an angle of the two buildings, where it just fits in, and instead of being like a ladder, is a complete iron stairway. In case it becomes necessary to use it, a large number of people could scoot down it in a very few minutes. In September 1905, an additional railroad siding was constructed between the new ash pit and the Merriam Shoe Factory, with a substantial stone wall along the factory property. The power plant proving inadequate to Factory As increased capacity, Newton contractors ODonnell & McManiman received the contract in October 1907 to built a new building, 30 by 72 feet, as an addition to the boiler and engine room, doubling its former capacity. A new boiler and engine were installed and the factory heating system overhauled. Under Tozers management, major improvements also included a complete and sanitary system of water closets, an exhaust system for carrying off all dust from various parts of the factory, and the introduction of an automatic fire extinguishing plant, equipped with over two thousand overhead Grinnell fire extinguishers. The Merriam Shoe Company now operated the largest shoe manufacturing plant in the country making a line of misses and childrens shoes, selling direct to the retail trade. Sales in 1907 topped one million dollars. Having been seriously ill since Christmas with pneumonia, William L. Dutcher died January 8, 1908. On February 8, 1908, the following gentlemen were elected officers of the H. W. Merriam Shoe Company: John Tozer, president; E. M. Dutcher, vice-president; George L. Dutcher, second vice-president; Edwin W. Merriam, treasurer; Joseph E. Warbasse, secretary. On April 6, 1908, John Tozer was elected a Director of the Merchants National Bank, to succeed William L. Dutcher. On May 9, 1908, work at Factory A was suspended for three days to repair a cracked cylinder head in the steam engine. 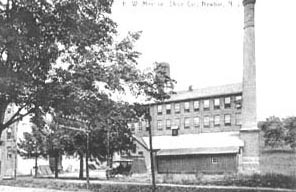 In October 1908, John OBrien connected Factory A to the municipal sewer system. In November 1908, Factory B on Mill Street was extensively remodeled to improve efficiency. John Tozer, the new president of the H. W. Merriam Shoe Company, was born at Cornwall, England, on June 6, 1855, and came to the United States when he was nineteen years old. In 1878 he began work as a clerk for the East New York Shoe Company in Albany, New York. While a resident in that city, he married Mary J. Trainor. He had advanced to the position of superintendent by the time he came to Newton in 1895 to replace William H. Palmer, the Superintendent of the Merriam Shoe Factory. By his energy and application, he increased the factorys output threefold. At the time of Henry Merriams death in October 1900, John Tozer was elected company vice-president. The H. W. Merriam Shoe Company broke ground on December 6, 1908 for the erection of a two-story brick building, 30 by 55 feet. It was built parallel with the eastern end of their factory, about 17 feet from the boiler house and was used as a coal and storage house. Thomas Farrell received the carpentry contract, while ODonnell & McManiman had charge of the mason work. The 1908 Coal House comprised an L-shaped brick building on Sparta Avenue. The main portion, measuring 30 by 55 feet, ran parallel to the factory. Bow-shaped laminated trusses supported its convex roof and a small cupola was built for ventilation. A perpendicular wing had its gable facing Sparta Avenue. With this latest addition, the room previously used for coal storage was added to the sole leather department, which badly needed more space for new machinery and better facilities. Only a few years earlier, the company bought most of the material used for shoe bottoms in a finished state. Recognizing that their customers demanded the best work and materials possible, the managers enlarged the bottoming department from time to time until nearly everything cut from sole leather was manufactured under their roof. This change meant nearly doubling the force employed in this department. On Saturday, March 12, 1910, the pay roll of H. W. Merriam Shoe Company amounted to $12,750, the largest ever recorded. Company officials decided to consolidate the operations of the their two factories and at the same time to increase their overall output by 25%. The shoe company purchased three lots on Sparta Avenue from Thomas M. Kays on March 16, 1910. Company president John Tozer awarded building contracts for another four-story addition to Factory A on April 7, 1910, which was intended to accommodate the business now done in Factory B., on Mill Street. The new structure, forming a wing 40' by 140' feet, was appended at the northwest side of the factory, providing 25,000 square feet of additional floor space. who was required to complete the work by July 15th. ODonnell & McManiman received the subcontract for the masonry work. On May 26, 1910, a cornerstone was set into the new addition to the plant, containing data relating to the organization of the company, copies of the Herald and Register and other matters of local interest. All of the machinery and workmen from Factory B were moved to the new wing of the Sparta Avenue plant in November 1910.
tower, 21 by 21 feet, six stories high, rose along the southeast wall of the 1910 addition. The water tank was reached by an internal set of wooden stairs in the tower. John Tozer, president of the H. W. Merriam Shoe Company, died at his residence, 123 Main Street, on September 13, 1910, from diabetes. Although recovering from a recent operation for abscess of the ear, he was at the factory only three days before his death, in apparently fair health. The next morning, however, he was stricken with a severe attack of the disease, from which he had suffered for the previous seven years. Local physicians attributed his trouble to either an infection of the wound made by the surgeons, or an abscess forming in his brain, as the patient lay in a comatose state. Two specialists from New York arrived and determined that he was in the final stages of a diabetic coma. On October 19, 1910, the stockholders elected: Edwin W. Merriam, president; George L. Dutcher, vice-president; Henry F. Merriam, second vice-president; E. Merriam Dutcher, treasurer; Joseph E. Warbasse, secretary. Henry W. Merriams brother, John J. Merriam, an architect and prominent resident of Summit, New Jersey, died December 15, 1910. His two sons were Edwin W. Merriam, of Newton, and Henry F. Merriam. Following the example of its near neighbor, the Valentine & Bentley Silk Company, employees of the H. W. Merriam Shoe Company organized a trained fire fighting force on February 20, 1911. The factory was already equipped with several hundred feet of standard and small size hose, shut-off nozzles, bars, axes, automatic sprinklers and a number of chemical tanks. Automatic fire-proof doors separated the new building from the old. Many of the hands assigned to fire duty were members of the fire department, lending experience to the new organization. Two blasts of the factory whistle was the signal for fire or drill. John Hoffman was named Chief. George Slaught was foreman of Company No. 1, assigned to hydrants along Sparta Avenue; William Heyder was foreman of Company No. 2, assigned to hydrants on the railroad side; and Charles Pierson was foreman of Company No. 3, assigned to Factory Court. In 1926, the Merriam Shoe Company occupied 90,000 square feet of floor space, employed 550 people, paid out an annual payroll of more than a quarter million dollars. The value of its annual production exceeded $1,000,000, all sold direct to retailers. Their line of shoes comprised 450 different styles in welts and turns, commencing with infants and ending with sizes for adolescent girls. On August 17, 1929, Edwin F. Merriam, president, issued a statement to the employees of the H. W. Merriam Shoe Company, explaining that the extreme competition of recent years had forced the company to merge with another shoe manufacturer. Seeking lower tax rates and a cheaper labor supply, the company planned to close down their Newton factory at the end of the present season and relocate to Baltimore, Maryland. He hoped that negotiations then underway would result in holding the industry for the town ... Edwin Merriam sold the Sparta Avenue plant to the Jefferson Shoe Manufacturing Company, of 210 Taafe Place, Brooklyn, New York, a company specializing in the manufacture of childrens footwear, on October 1, 1929. Max Beckerman, president, and Ansel Feldstein, treasurer, had purchased this company in 1922 and greatly expanded its business. Their factory was producing 5,000 pairs of shoes daily. With the consent of its stockholders, the Board of Directors of the Jefferson Shoe Manufacturing Company, resolved to borrow $55,000 to use as a capital fund to finance its relocation to Newton. On October 1, 1929, the Company sold second mortgage seven per cent bonds, two hundred for hundred dollars each and seventy for five hundred dollars each, dated October 1, 1929, payable in monthly installments of $1,200, beginning on April 1, 1937, and continuing until paid at an interest rate of 7 per cent to the Newton Trust Company. Under this second-mortgage agreement, the Company was to begin the manufacture of shoes in Newton on or before November 1, 1929. Louis Dalrymple, Vice President of the Newton Trust Company, reported to the Newton Board of Trade in January 1930 on his recent visit to the Jefferson Shoe Company. Their daily output was 1,800 pairs of shoes, the work meeting the standard of the samples shown when the Company planned to locate in Newton. Mr. Dalrymple regretted that the foreman of the Jefferson Shoe Company was not present, agreeable to a promise made to former Board President W. W. Woodward. He felt that there was a better atmosphere among the employees, some being very well satisfied, and others not so well satisfied, but hopeful. Mr. Beckerman told him that he believed the plant would be successful here and that some of the younger employees would soon outclass the Brooklyn help. Claude E. Mazuy, President of the Board of Trade, who visited the plant with Mr. Dalrymple, stated that improvements could be made. One of the troubles, he thought, was the vast amount of criticism by the workers before they begin work. He cited an instance of a worker under the Merriam regime who came to him for work at Mazuy Mills and could not make as good as a weaver. The same man had recently applied again for work, but stated that he wanted something different than weaving. Mr. Mazuy was of the opinion that the younger shoe workers would solve the problem. On March 13, 1930, the New Jersey Herald reported that the Jefferson Shoe Company had recently shipped 287 cases of shoes and in a single day in the previous week its shipment aggregated 360 cases. Each day recorded equally complimentary shipments to nearly every State in the Union. The Jefferson Paper Box Factory was also getting well underway and was busily engaged in producing boxes for the Jefferson output of shoes. 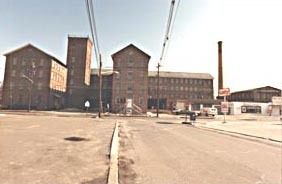 The Newton Board of Trade and the New Jersey Brush Manufacturing Company, of Bloomfield, negotiated a lease for approximately 30,000 square feet comprising the upper floors of the Jefferson Shoe Company plant. The principals of the Brush Company were: Walter C. Read, president; his son W. Chapin Read, and Louis R. Bressler, then General Sales Manager of the Lisbon Manufacturing Company, of New York. Their gross annual sales exceeded $350,000 and they employed 50 to 75 people. The Newton Board of Trade raised $50,000 to purchase the interest held in the Brush Company by the estate of George C. MacGuire, deceased, one of the founding partners. 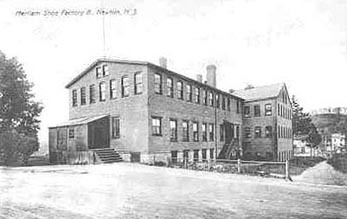 The Jefferson Shoe Manufacturing Company rented part of their shoe factory to the New Jersey Brush Manufacturing Company for five years (beginning October 1, 1930) at $4,800 yearly, the rent to be paid in equal monthly installments. The lease, dated October 14, 1930, rented all of the fourth floor, all of the third floor in that part of the said factory known as the old building, a distance of 25 feet, more or less, to a brick wall a part of the way across said third floor, a storage space in the attic and space on the first floor between the rear wall of said factory building and the fire doors immediately adjacent to the shaft for the small elevator, a part of the basement without in any way or manner trespassing upon the remainder of the basement, the stairway in the rear of said factory building and the right to use the railroad siding for loading and unloading stock, materials, supplies, goods, wares, merchandise and manufactured articles. Rent was to be paid directly to the H. W. Merriam Shoe Company and to the Newton Trust Company. On the same day that the lease became effective, articles of agreement were also signed by the Newton Board of Trade, the New Jersey Brush Manufacturing Company, and Walter C. Read, President of the New Jersey Brush Manufacturing Company. In return for the Brush Companys agreement to relocate to the shoe factory, the Newton Board of Trade undertook to raise $50,000 for the purpose of purchasing the common stock in the corporation owned by George C. MacGuire at the time of his decease. In return, the Brush Company executed and delivered to the Newton Trust Company (acting as trustee) a bond signed by its corporate officers in the amount of $50,000 with a provision specifying the agreed-upon repayment schedule. Walter Read co-signed and guaranteed the bond. Furthermore, 51% of the outstanding stock was given to Levi Morris, President of the Newton Trust Company, Henry T. Kays and William W. Woodward. Lastly, the Brush Company was to begin manufacturing brushes in Newton on or before February 1, 1931. The Brush Company employed 50 to 60 operators. Under the terms of their lease, dated October 14, 1930, the Brush Company was allowed to construct a stairway to their office to be established for the purpose of ingress and egress. They were also allowed to separate it from its surroundings by the necessary partitions. This enclosed staircase began at the main door from Sparta Avenue and rose to the third story. In April 1931, portions of the plant of the New Jersey Brush Company and the Jefferson Shoe Company suffered water damage during the suppression of a fire. Firemen found burlap bags soaked in high-test gasoline and two cans of gasoline on the third floor and an arson investigation ensued. As part of its reorganization under court supervision, Vice Chancellor Lewis appointed Max Beckerman, President of the Jefferson Shoe Company, and Charles T. Downing as receivers in equity on February 20, 1932. While the company held assets in excess of liabilities, it suffered a cash shortage due to the fact that it was necessary to purchase materials on short term basis, whereas jobbers and retail trade took 90 to 120 days to pay accounts. At the recommendation of the H. W. Merriam Shoe Company, the receivers arranged in March 1932 to have T. H. Johns, the eastern sales manager of the Compo Shoe Machinery Company, take over management of the Jefferson Shoe plant. Max Beckerman, who had handled management and sales, would now devote full time to sales. Under the reorganization plan, the factory would produce a minimum of 3,000 pairs of shoes per day. On July 25, 1932, the Court authorized acceptance of Louis A. Dalrymples offer to purchase all of the assets of the Jefferson Shoe Manufacturing Company subject to all the encumbrances of record. Thereafter, Louis Dalrymple assigned his said bid and rights to receive these assets to a New Jersey corporation known as the Jefferson Shoe Manufacturing Company. On July 25, 1933, arrangements were completed to lease the plant of the Jefferson Shoe Company to Fine & Blume, Inc., of Reading, Pennsylvania, for a period of several months. These manufacturers of fine shoes had a number of unfilled orders on hand and planned to produce one thousand pairs per day. If their experience proved satisfactory, they hoped to increase the number of employees and their production. On August 24, 1933, Walter C. Read, president of the New Jersey Brush Manufacturing Company, died suddenly of a heart attack at his home at 22 Liberty Street, aged 72 years. Born in California in 1861, he had come east in 1897. He associated with George C. MacGuire in the New Jersey Brush Manufacturing Company at Bloomfield. MacGuire designed and built all the machinery used in the business and was the inventor of several types of automatic equipment. He came to Newton when the business relocated here. He was survived by his wife Agnes and two sons: Chapin Read, of Newton, and Kenneth Read, of Bloomfield. In September 1935, a number of shoe factory workers appeared before the Town Committee seeking information regarding the attachment placed upon the companys personal property to guarantee payment of taxes. William Cooper was their spokesman. Finally, on April 3, 1936, Edwin W. Merriam and Henry F. Merriam filed suit against the Jefferson Shoe Manufacturing Company and the Newton Trust Company to recover $73,187.43, that sum being the principal and interest secured by the mortgage held by the complainants by an assignment of mortgage from the H. W. Merriam Shoe Company. The Court of Chancery ordered Sydney Webster, Sussex County Sheriff, to sell the mortgaged premises at public vendue. On May 18, 1936, Edwin and Henry Merriam purchased the shoe factory at foreclosure sale for $100. On June 26, 1936, Edwin W. Merriam of Baltimore, Maryland, and Henry F. Merriam of West Orange, New Jersey, subdivided the old Merriam Shoe Factory building and lot, selling .4777 acre to the North American Fur Dressing and Dyeing Corporation. On June 29, 1936, Louis Schwartz, President, and Meyer Schwartz, Secretary, of the North American Fur Dressing and Dyeing Corporation, mortgaged the property to Edwin W. Merriam, et al, for $7,767.38 at 6% interest.41 The New Jersey Plumbers Specialty Company opened a Newton branch in the Merriam building on March 25, 1939, handling a complete line of plumbing and heating materials, tinsmith and oil burner supplies. A. C. Timmons was manager. On September 28, 1939, Edwin W. Merriam leased the two outbuildings lying southwest of the main factory building to Jacques S. Glass, of Brooklyn, and to Maurice S. Glass, of Newton, for five years at a rate of $360 for the first year and $420 for the last four years of the lease. They operated a dry-cleaning business on the premises. On April 27, 1944, Edwin W. Merriam sold two small parcels of land on which these two outbuildings stood (the first containing 11,084 square feet and the second containing 6,539 square feet), to Jacques and Maurice Glass. The buildings were described as a two-story brick building approximately 55 feet by 130 feet and a one-story brick building approximately 19 feet by 17 feet. On the same day, Jacques and Maurice Glass mortgaged the premises to the Merriams for $3,500 at 4 1/2% interest. Jacques Glass and his wife Sadie sold their equal undivided half interest in the property to Maurice Glass on May 25, 1956. Edwin W. and Henry F. Merriam sold their interest in the Shoe Factory building and property (said to contain .057 acre) to Stephen R. Brown, of Chatham, New Jersey, on March 27, 1946. The sale was subject to two existing tenancies. On January 4, 1947, Stephen Brown sold the same lot to Marco Sinai, of New York City. The North American Fur Dressing and Dyeing Corporation sold its .477 acre portion of the property to Meyer Schwartz, Samuel Tronner, and Sidney Meskin, all of Sparta Avenue, Newton, on June 1, 1943. The grantees were the various officers of the corporation. Two weeks later, they sold the same property to Marco Sinai for $40,000. Thus, by January 1947, Marco Sinai acquired both parcels containing the main factory building. On December 18, 1952, he rented the entire third and fourth floors of the old Shoe Factory, together with the first floor of the central office wing, to the Indiana Furniture Corporation (a corporation of the State of Delaware who principal offices were located at 210 Main Street, Hackensack, New Jersey). Two weeks later, on December 29, 1952, Marco Sinai sold both parcels containing the factory building to Goodman & George, Inc., of 870 5th Avenue, New York, New York, for $50,000. This transfer of title was apparently related to an indenture of trust established on the same day, whereby Fiora Sinai, of Long Island, and Salvatore Sinai, of Montreal, Canada, were made trustees for Roberta Sinai. On January 1, 1960, these trustees sold their interest in the Merriam Shoe Factory to Marco Sinai for $52,000. On November 30, 1961, Goodman & George, Inc., of 124 West 30th Street, New York, New York, sold the two Shoe Factory parcels to Marco Sinai for $1.00, subject to an existing mortgage. In 1959, the Remington Rand Corporation used the old shoe factory for a warehouse. On December 21, 1961, Marco Sinai concluded an eight-year lease (running from January 1, 1962 to December 31, 1971) with the Stauffer-Hewitt Corporation of Franklin, New Jersey, for $120,000.55 The lease allowed the corporation to conduct light manufacturing on the premises. Marco Sinai subsequently transferred all of the interest that Mina Sinai had in this lease to himself as landlord for $10.00. On January 21, 1966, Fiora Sinai, widow and executrix of Marco Sinai, signed a conditional assignment of the lease with Stauffer-Hewitt to herself for $10.00. As widow and executrix of Marco Sinais estate, she transferred title to herself on October 22, 1973. Finally, on December 12, 1973, she sold the Shoe Factory to the Dee Land and Improvement Company of Metuchen, New Jersey. On August 8, 1979, the Dee Land and Improvement Company sold the same parcels to Dee Land, a partnership located at 69 Sparta Avenue, Newton, New Jersey, subject to two mortgages. The first mortgage of $50,000 was held by the Prospect Park National Bank since August 13, 1975. The second mortgage was held by Dolan & Dolan, attorneys, as escrow agent under a stock redemption plan entered into between Dee Land and Improvement Company and Paul Kaltsap on July 9, 1979. This second mortgage had a balance of $25,922.99 plus interest due. On May 13, 1983, Dee Land sold the old Merriam Shoe Factory to Merriam Gateway Associates. The old Merriam Shoe Factory has since been converted to condominiums. Beware: To identify unathorized use, I have deleted footnotes and introduced protective literary devices.